Cosmic fireballs will occasionally light up the night sky as the Taurid meteor shower approaches its peak into next week. “Every year, the Earth passes through a stream left by Comet Encke, producing the Taurid Meteor Shower,” AccuWeather Meteorologist Dave Samuhel said. “This shower is notorious for producing fireballs, and there are signs that this could be a year of enhanced activity,” Samuhel added. Fireballs are extremely bright meteors that last for several seconds and can light up an entire countryside when they are at their brightest. 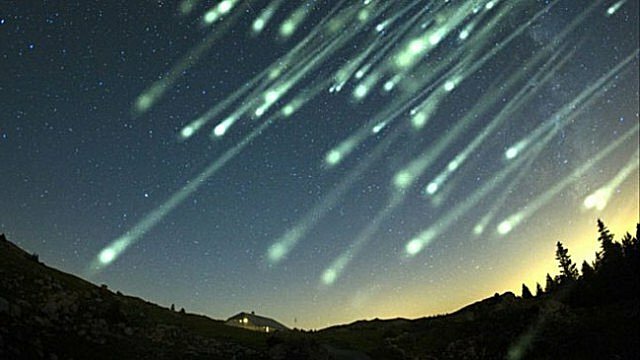 Unlike other meteor showers thought the year, the peak of the Taurid shower is drawn out, lasting nearly a week. This year, the peak is expected to occur from Nov. 5 through Nov. 12, but some meteors from the Taurids will continue through the end of the month. The long peak of the shower means that stargazers will have several opportunities to see the Taurids, and one cloudy night should not prevent people from catching the display. “Usually the shower only produces 5-10 meteors per hour,” Samuhel said. The best time for viewing the Taurids may prove to be near the end of the shower’s peak during the new moon. The new moon will mean that the sky will be darker, making the Taurids appear even brighter as they glide across the night sky. As for when to look for the Taurids, there is no specific time of the night that will bring more shooting stars than another time of the night. Whenever it is dark, you’ll have the chance to see some fireballs flash as they streak through the night sky. For more updates on the Taurids meteor shower and other space news, follow the AccuWeather Astronomy Facebook page.